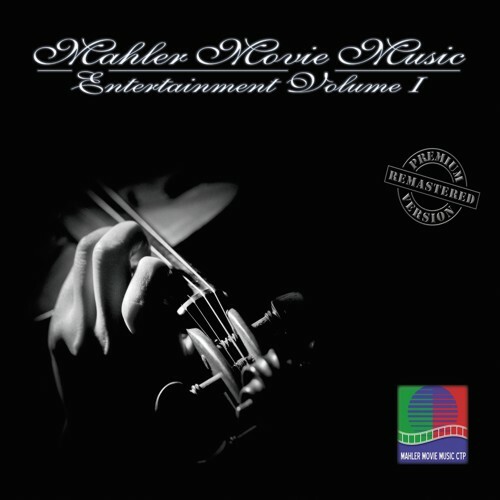 Burkhard Mahler: Mahler Movie Music Entertainment Vol. 1 bei getyourmusic: Musik-CDs im Direktangebot der Künstler und Bands. Nach 14 Jahren Musikkomposition und -produktion für freie und angewandte Bereiche wie Kino / TV / Commercials gründete Burkhard Mahler sein Label "Mahler Movie Music CTP" und startet ein Best-Of-Album namens "Mahler Movie Music Entertainment, Volume 1". Auf dieser Compilation vertreten sind bekannte und weniger bekannte Künstler, deren Instrumentals vollständig von Mahler komponiert und produziert wurden. Alle Songs waren ursprünglich für den Einsatz in Kino / TV / Commercials vorgesehen und wurden mit BMI in den USA registriert. Emotionale Tracks, die Zuhörer zwischen 16 und 60 Jahren mit einem Stilmix von Hardrock bis zu Crossover begeistern. After 14 years of composing and producing music for free and applied areas like cinema/TV/commercial Burkhard Mahler founds his label "Mahler Movie Music CTP" and launches a Best Of Album called "Mahler Movie Music Entertainment, Volume 1". There are famous and unknown artists represented on this compilation with instrumentals entirely composed and produced by Mahler. All Songs have been originally designed for use in Cinema/TV/Commercial and are registered with BMI in the USA. Since about 12 years in Munich he produces and composes music for free and applied areas like Flm/TV/Commercial Spots. His instruments are a keyboard, piano, guitar, and of course the PC. The spectrum spans from classical music up to Hip-Hop, Rock, Ambient/Lounge, and Electro. "Germany has been home to some of the worlds best Ambient music in recent years. German composer Burkhard Mahler continues to raise the bar with in the genera with his latest release Fusion White Classics II. As a fan of all things ambient I can appreciate the open space & sonic musical textures Mahler has brilliantly crafted on his music. Additionally Mahler’s compositions are also an amazing fusion of styles, making his unique style of music quite groundbreaking. He skillfully blends guitars, synths & ambient beats with perfect balance. This gives everything equal space within the atmosphere. There is clearly a lot of improvisation in his work as well, as a result many of the songs present what I would describe as brilliant musical meandering. This quality allows the catalogue to magically flow across your ears & fill your sonic space with peacefully & unobtrusively."